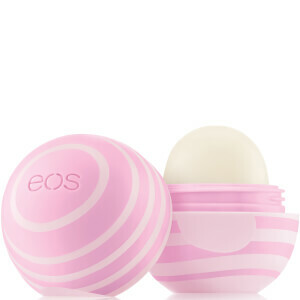 Nourish and protect your pout with EOS Active Aloe SPF30 Lip Balm, a hydrating sunscreen lip balm that delivers a veil of hydration and protection. Infused with Jojoba Oil, Shea Butter and antioxidant Vitamin E, the deeply nourishing balm leaves lips feeling soft, supple and scented with a refreshing Aloe flavour. 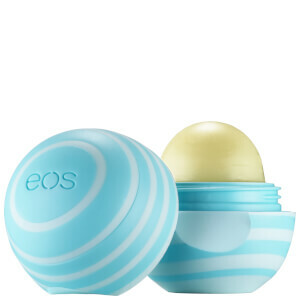 Fortified with SPF30 for optimum sun protection. 80 minutes sweat and water resistant. 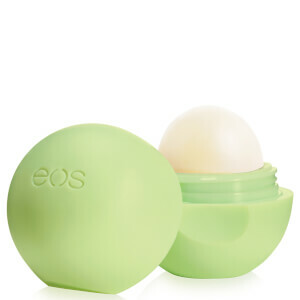 Free from petrolatum, parabens and gluten. Active Ingredients: Avobenzone 3%, Homosalate 10%, Octocrylene 10%. Inactive Ingredients: Beeswax/Cera Alba (Cire d’abeille), Bis-Diglyceryl Polyacyladipate-2, Jojoba Esters, Helianthus Annuus (Sunflower) Seed Oil, Cocos Nucifera (Coconut) Oil, Butyloctyl Salicylate, Oryza Sativa (Rice) Bran Wax, Helianthus Annuus (Sunflower) Seed Wax, Ricinus Communis (Castor) Seed Oil, Ethylhexyl Methoxycrylene, Butyrospermum Parkii (Shea) Butter, Theobroma Cacao (Cocoa) Seed Butter, Aloe Barbadensis Leaf Juice, Triethyl Citrate, Acacia Decurrens Flower Wax, Lavandula Angustifolia (Lavender) Extract, Camellia Sinensis Leaf Extract, Elettaria Cardamomum Seed Extract, Pyrus Malus (Apple) Fruit Extract, Rubus Idaeus (Raspberry) Fruit Extract, Cananga Odorata Flower Extract, Citrus Aurantium Amara (Bitter Orange) Flower Extract, Citrus Auranitum Bergamia (Bergamot) Fruit Extract, Coffea Arabica (Coffee) Seed Extract, Cucumis Melo (Melon) Fruit Extract, Cucumis Sativus (Cucumber) Fruit Extract, Cupressus Sempervirens Leaf Extract, Cucumis Melo Cantalupensis Fruit Extract, Jasminum Officinale (Jasmine) Flower Extract, Rose Extract, Rosmarinus Officinalis (Rosemary) Leaf Extract , Salvia Officinalis (Sage) Leaf Extract, Santalum Album (Sandalwood) Wood Extract, Tocopherol, Glycine Soja Oil, Polyglycerin-3, Stevia Rebaudiana Leaf/Stem Extract, Citric Acid, Linalool, Hydroxycitronellal, Amyl Cinnamal, Citronellol.